The Ivory Oak takes on a warm russet and gold colorway, pulled from light oak stains of California modern design. 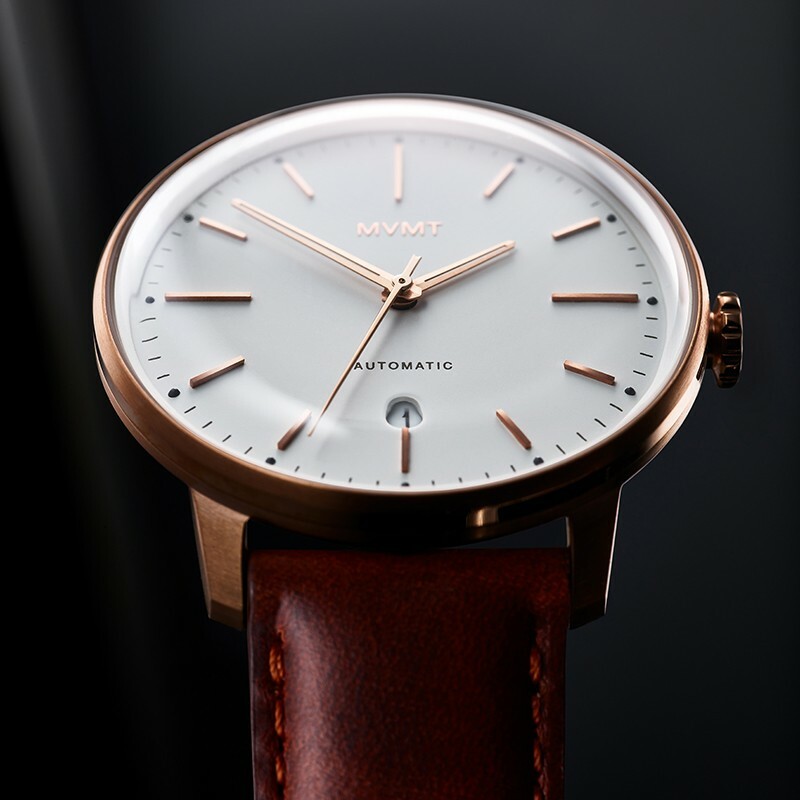 Mexican tanned leather straps, a matte face and domed crystal complete this 41mm stainless steel case. A special exhibition case back reveals the dynamic intricacies of the automatic movement. 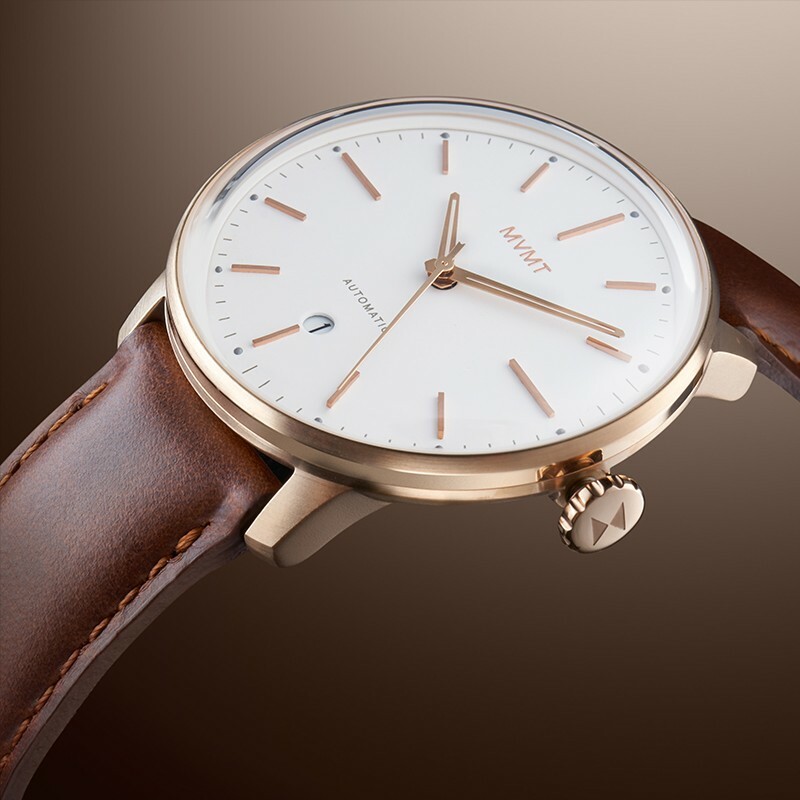 The Arc Automatic features a sleek & sophisticated 41mm case diameter. 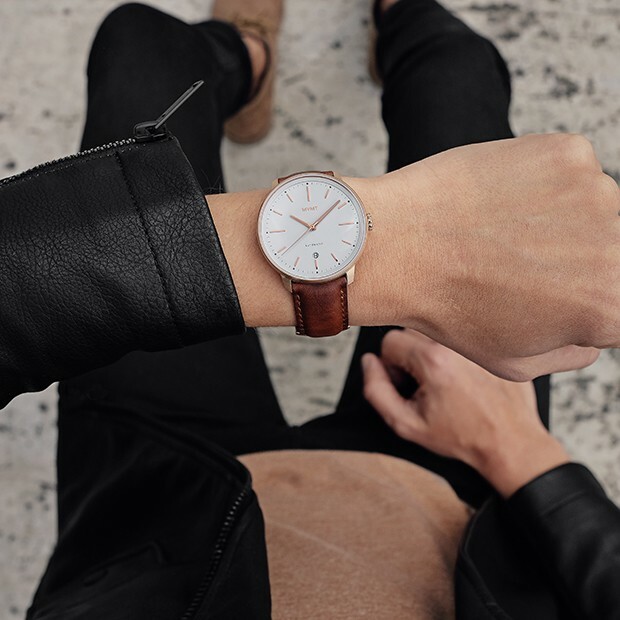 With a midsize 13.25 case depth and the smooth wear of tanned leather straps, this watch fits handsomely on the wrist as an everyday staple. Arc Automatic watches feature a quick-release clasp that allows you to easily swap out your strap at home…no tools required. Automatic watchmaking is a centuries-old and deeply admired practice. 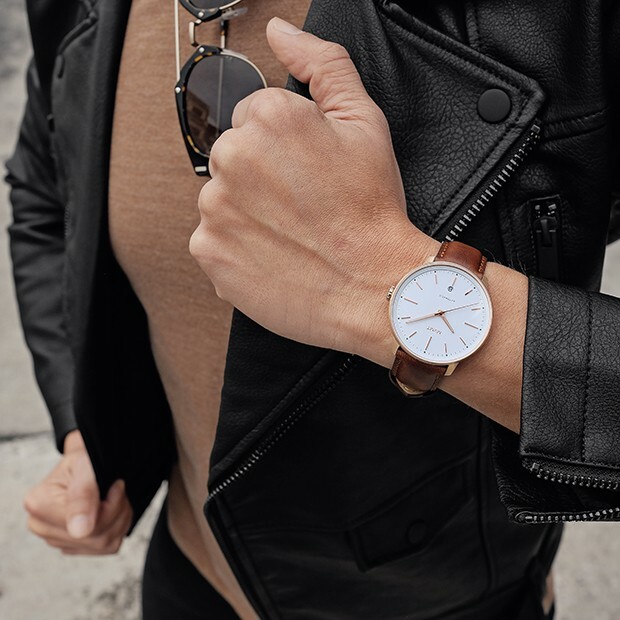 Constructed with up to three-times the working parts of our traditional analog quartz watches, automatic movements harness energy through the natural motions of the wearer’s wrist. This powers the intricate series of wound springs and gear trains within the watch to keep time, making the Arc Automatic our most sophisticated timepiece to date. 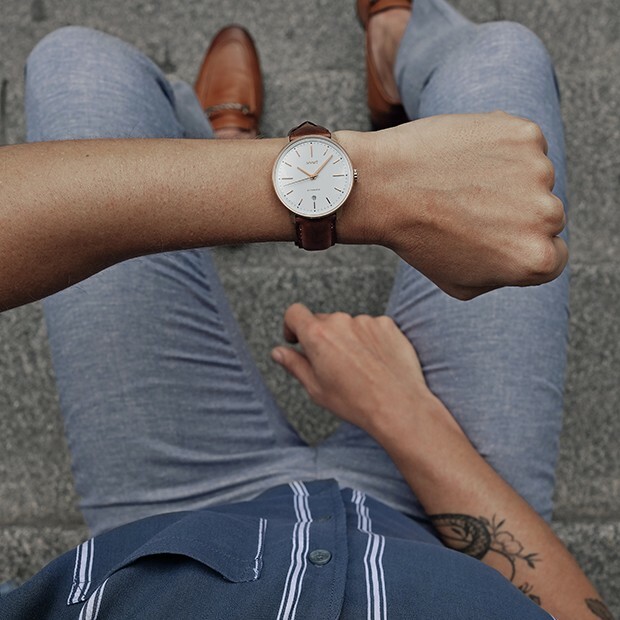 The Arc Automatic is best worn every day to keep accurate time, and should be fully wound before every wear. It’s best to keep in the watch winder when you are not wearing it. Avoid magnets, shocks and water exposure. In the event that water penetrates the case, repair immediately. Avoid setting the date between 9:00 p.m. -- 1:00 a.m. Best to avoid extreme temperatures, as accuracy is compromised below -10°C and above 60°C. Best to service approximately every 3 years to ensure long-term quality performance. In the event of time-delay or other unusual occurrences, service immediately. The Arc Automatic arrives in a special black collector’s box, detailed with a sharp geometric fold and a soft velvet interior. A Modern Classic. A Kinetic Machine. 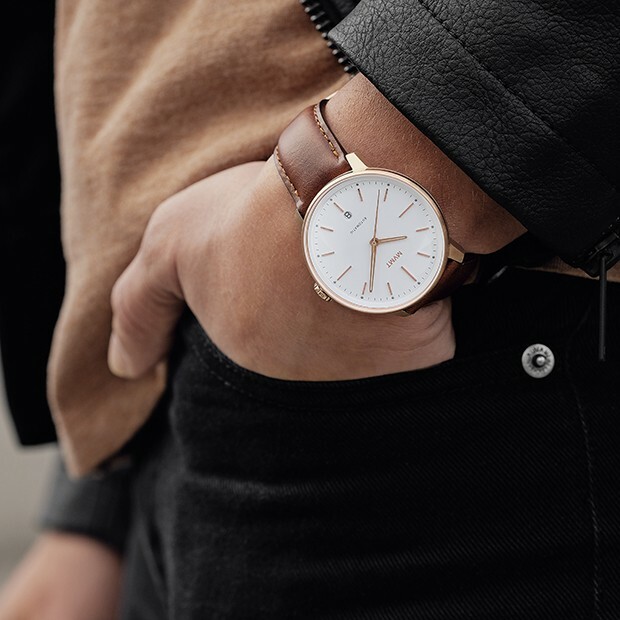 Sleek steel and rich leather embody the core duality of the Arc Automatic. Inspired by the experimental spirit of 1960s architecture, this model explores the tension of modern design and timeless style. This self-winding machine is distinguished by its intricate mechanical heartbeat. 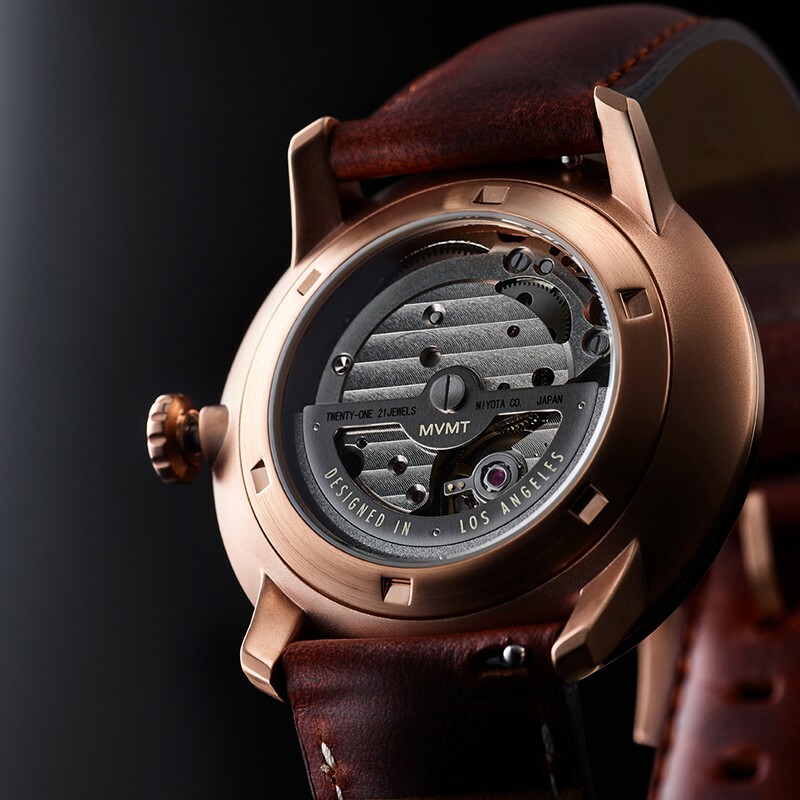 The gears that drive the smooth sweeping motion of the hands are powered by the natural movements of the wearer, revealed by a sculptural exhibition case back.